W.H. 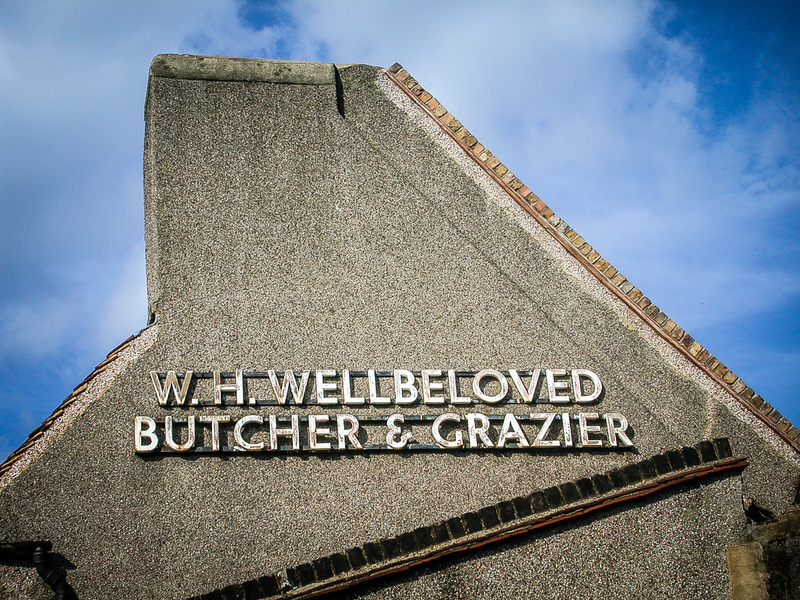 Wellbeloved, 31 Tanner’s Hill, Deptford, Borough of Lewisham, London SE8, 2002 • A sculptural gable end for a wonderful name, established in 1829. 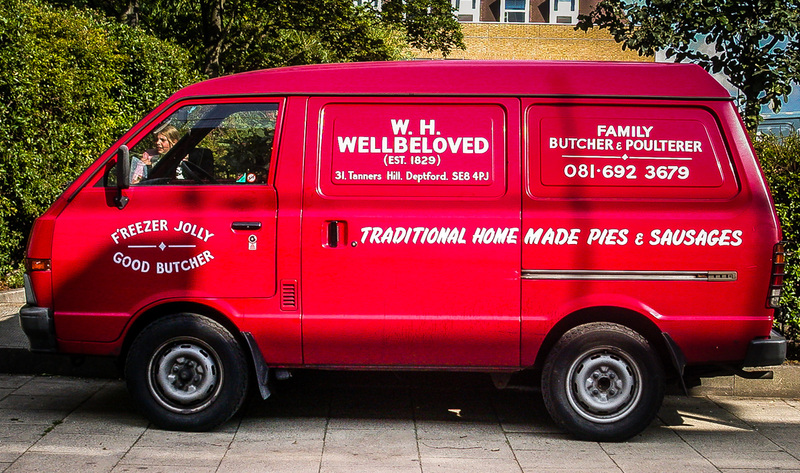 Note hand-painted sign offering “surloin”, and the jaunty van slogan: “F’reezer jolly good butcher”. 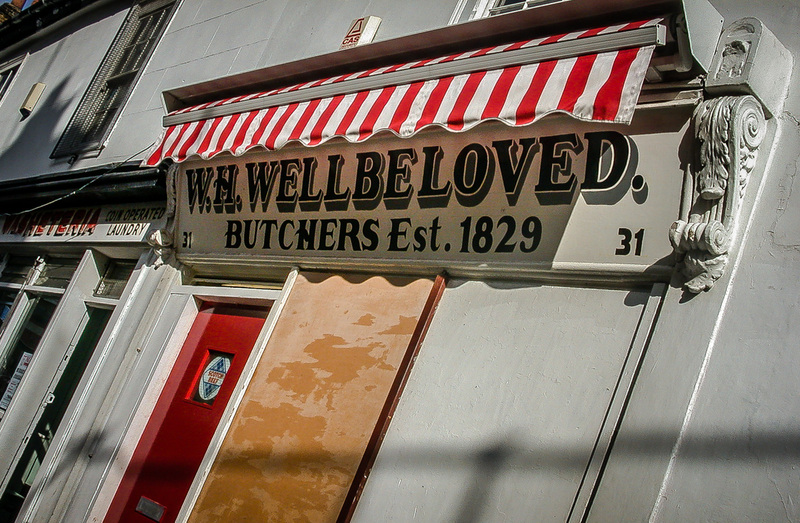 Nowadays the shop looks smarter, but minus the traditional red and white stripes. You can see what this shop was like back in 1972 on the CFF film “Hide and Seek” starring Gary Kemp, filmed entirely on location in Deptford and recently released on DVD by the BFI with 2 other CFF films packaged as “Runaways”. I used to live up the road from here in the early 2000’s. There were lots of shops further up but many had been converted to flats. The cycle shop next door to the butcher (which never seemed to be open) made cycles for the british team in the Olympics in the 60’s. 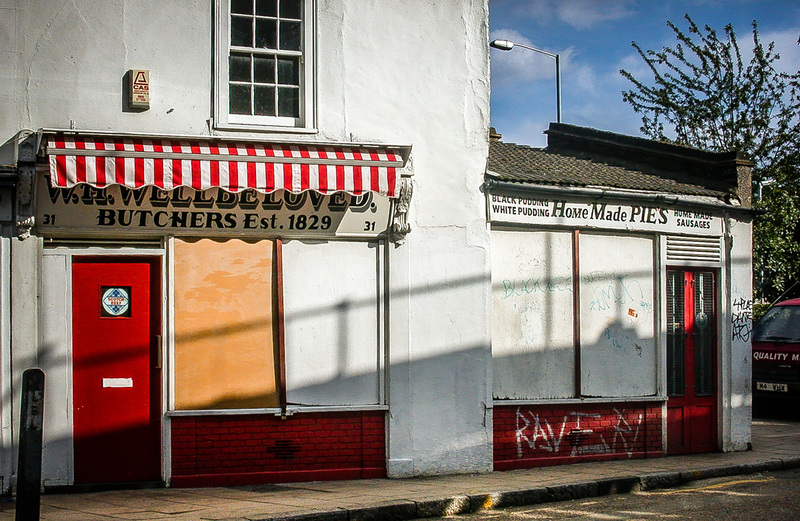 They were lovely shops, a slice of the past with real character that is slowly being replaced with generic aluminium shop fronts and shoddy back lit signs. There were some really nice glass or sign written signs behind a lot of the signs that cover these little treasures that often get uncovered. 2 minutes walk from here there was a Colonial Stores sign. Hi Lee, good to hear from you. Thanks for such interesting memories. Those must have all been present when I photographed this, but I didn’t notice them. 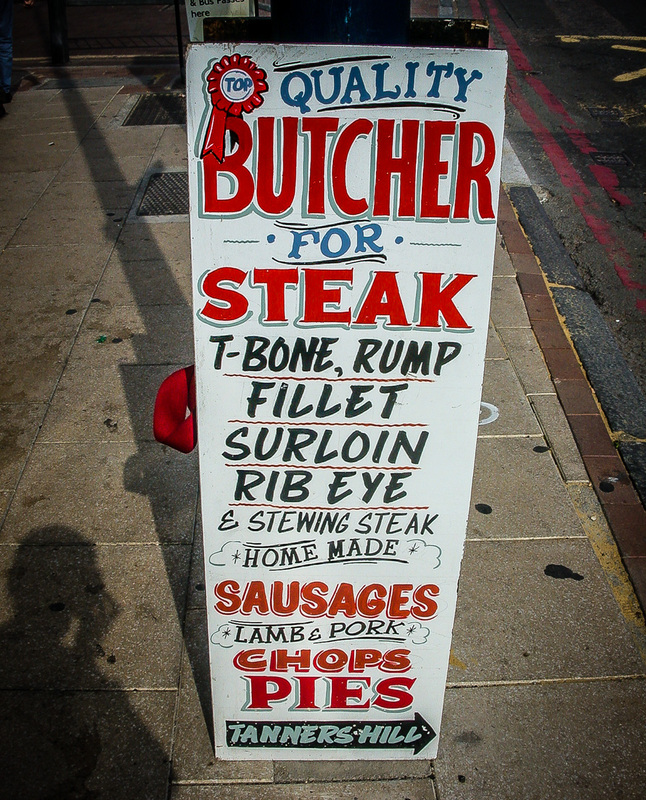 I was hurrying around SE London photographing all the Kennedy’s butchers.